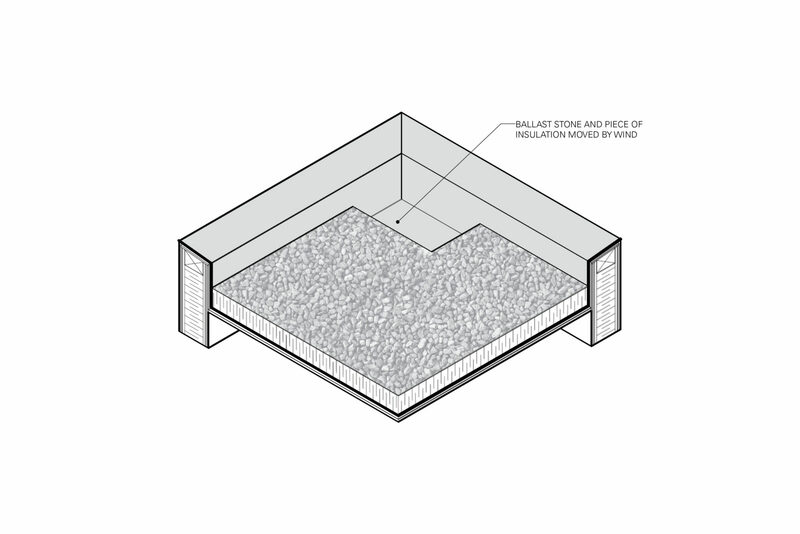 The action of the wind on the ballast stone on the Protected Membrane Roof is greatest in the corner. Stone may be moved away from the corner and insulation may be blown away - see Image 2. Patio pavers should be added in to counteract stone movement - see Image 3.